Here, we have curated a proper guideline for creating a multi-step/multi-page WordPress contact form with Gravity Forms. All you need to do is to follow few basic steps to come up with an excellent solution. If you are looking to create a powerful contact form with multiple steps, then you can use different plugins that will provide you with the best results. Before you go on to start creating a multi-page form for your website, you must create forms using Gravity Forms. The first thing that you need to do is to install the Gravity Forms plugin on your website. Once you have installed the form, you can move to the tab on your dashboard that says, ‘Forms’. Once you have clicked the Forms, you will be able to see an option for adding a new form. Click that option, and you will be able to see a pop-up window where you can give the title of the form that you are creating. You will have to give the title and the description of the form. After filling up those fields, you can start creating a new form. 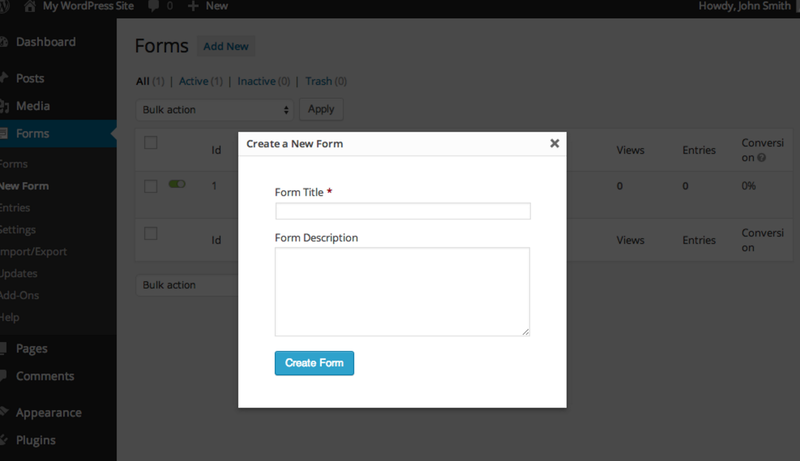 For creating a new form, you will have to visit the form editor and you will be able to see multiple form fields. When you are adding multiple fields to your form, you just need to click the desired field and it will be added to your form. After arranging the form fields, you can save the form. When you are looking to create multiple forms with Gravity Forms, you need to follow few basic steps. The process of creating a new form should be similar to the one you have done before. All you have to do is to navigate to the ‘Forms’ in the dashboard, and then click ‘New Form’. You will see a popup window and you will have to add all the details to create a new form. After that, you will have to add all the desired fields to get started with the new form. Once you have created a new form, you will be able to see different accordions including the ‘Standard Fields’, ‘Advanced Fields’, and ‘Post Fields’. When you are about to edit the form that you have created, you will have to select different elements from these fields. You can see different elements in the standard fields. When you are about to create multiple pages for your single form, you will have to choose the field named, ‘Pages’. Once you have added the page to your form, you will make the form multi-page. Once you have added the page breaks, there are still multiple other things that you will have to focus on when creating a complete form. You can add the form elements including name, address, lists, or different other options from Form Fields section. You can add the fields on the first page that you want to display on the first page. If you want to add few other fields on the second page, then you add them after adding the second page of the form. Moreover, you can add as many pages as you want, and then you list all those fields that you want to display on multiple pages. You can ask all the details from the users using different form fields that you are adding on your forms. You can also edit the form fields in a way you want to display them in the live form. Once you have added all the fields on the form, you can save the form. Once you have completed the form, you will see the button that says, ‘update form’. You can click that button to save the form that you have created. Once you have saved the form, you can go to the pages where you have created a contact page. You can open a page and edit it. If you are using WP Bakery Page builder, then you will be able to see an option of ‘Add Form’. It will generate the shortcode of the form and you will be able to save the page. After saving the page, you can preview it and you are all set up with multi-page contact form using Gravity Forms. It can provide you with every solution to every web-based problem. Whether you are creating a business website or a personal blog, you must consider using WordPress for it. It has all the amazing options that you can explore to make things easier and better for yourself. WordPress can provide you unlimited options to increase the functionality of your blog or a business website.